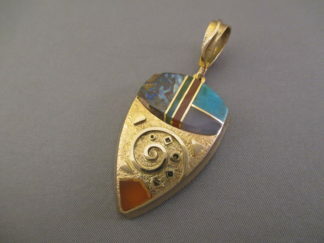 Kingman Turquoise Pendant! Native American jewelry artist, Artie Yellowhorse (Navajo), made this little beauty! Sterling silver pendant with Kingman Turquoise.